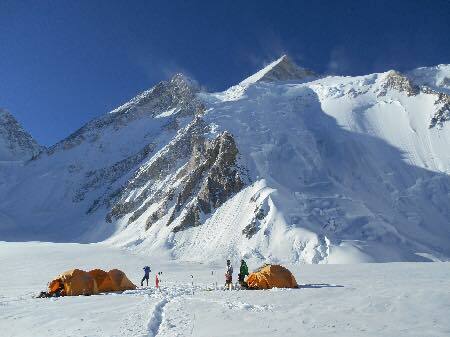 Kobbler & Partners team was first to arrive Gasherbrum II base camp, they arrived more than a month ago. K&P team has completed acclimatization, and they spent a night on camp 3 7000m on their last rotation and returned to base camp on Friday. 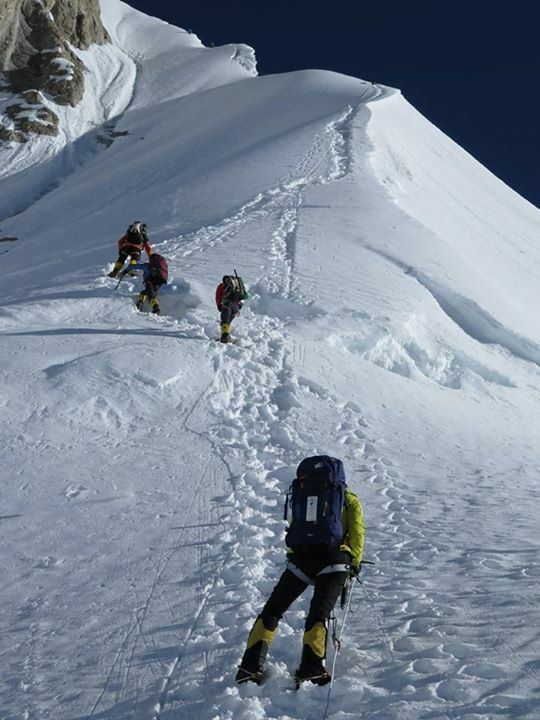 They have had two days of rest and gained enough strength for summit push. 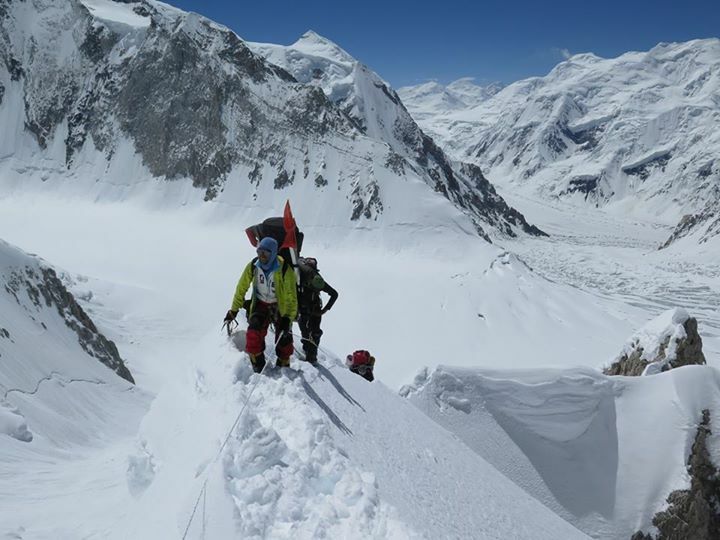 Gasherbrum II 8035 meters: Climbers negotiating ice fall to reach camp 1. Expedition leader Peter has announced that coming wed/Thur shows promising weather and they are good to go. 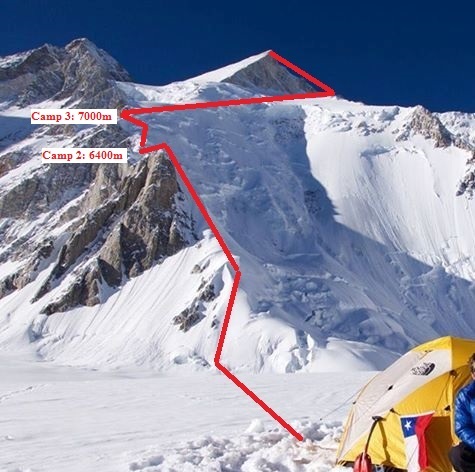 They are to start ascent on July 13th at 2 a.m. Pakistani time, according to latest update they have left base camp already and they are on the way to camp 1 5900m. 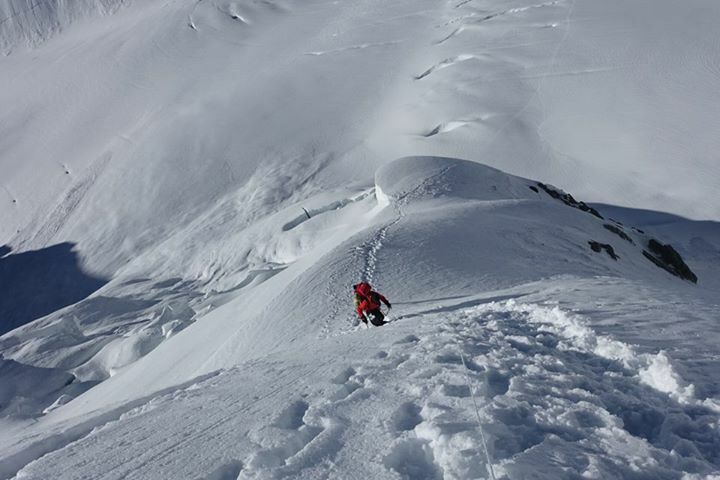 Leave from base camp at 2 a.m. to get to camp 1 on Monday, Camp 2 6400m on Tuesday 14th, Wednesday 15th on camp 3, sleep during the day and attack on Summit at 22.00 pm on Wednesday 15th with a forecast to reach the summit between 7 am and 9 am on Thursday 16th of July. 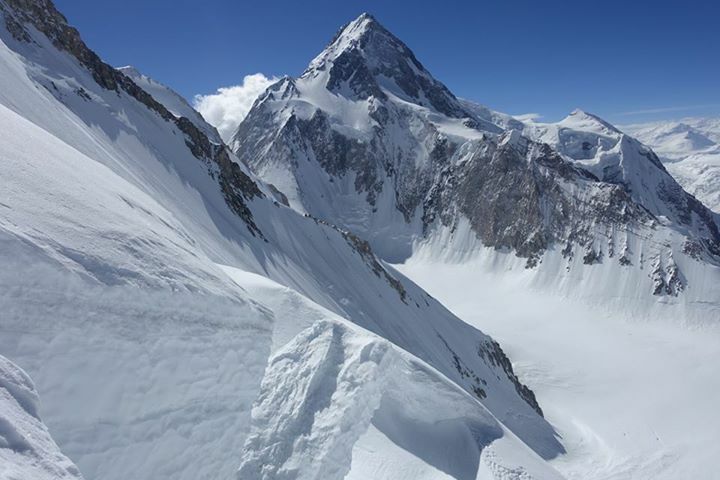 Gasherbrum II 8035 meters: View of Gasherbrum 1 from camp 3 7000m. 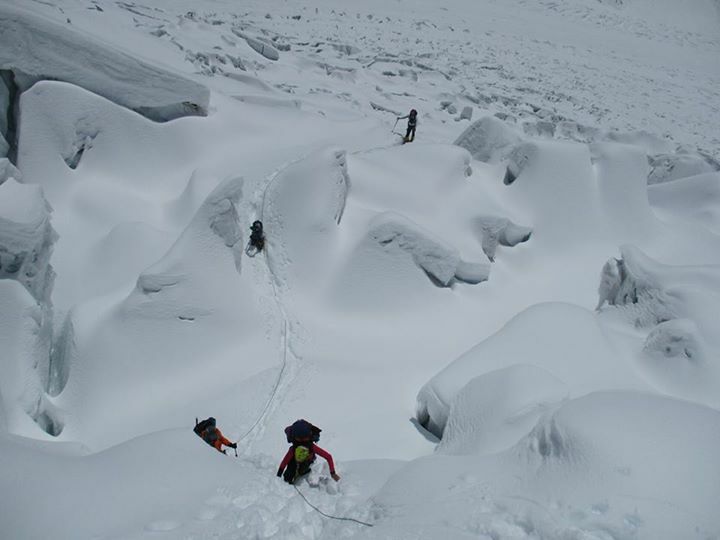 K&P team has seven members, two sherpas and one Pakistani high altitude porter. Names of members are Laura González del Castillo, Yuri Contreras Cedi, Peter Schatzl (group leader), Ernst Felix, Robert Gunther Herz, Christof Bartmann and Sophie Lavaud. 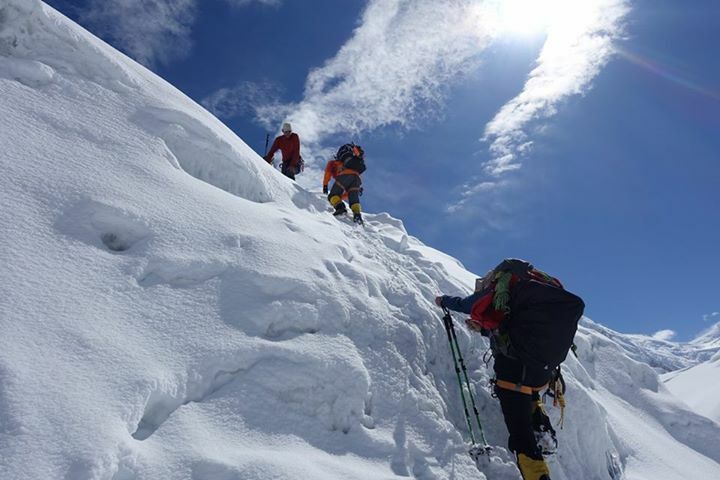 If all goes according to plan, there will be announcement of ten summits on Thursday, on world’s 13th highest mountain.